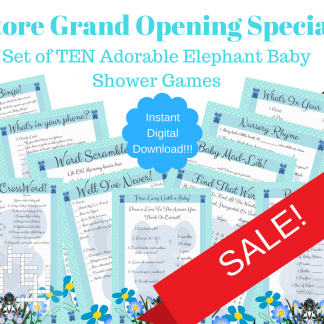 View cart “Set Of Ten Elephant Baby Shower Games For Boy (BLUE)” has been added to your cart. 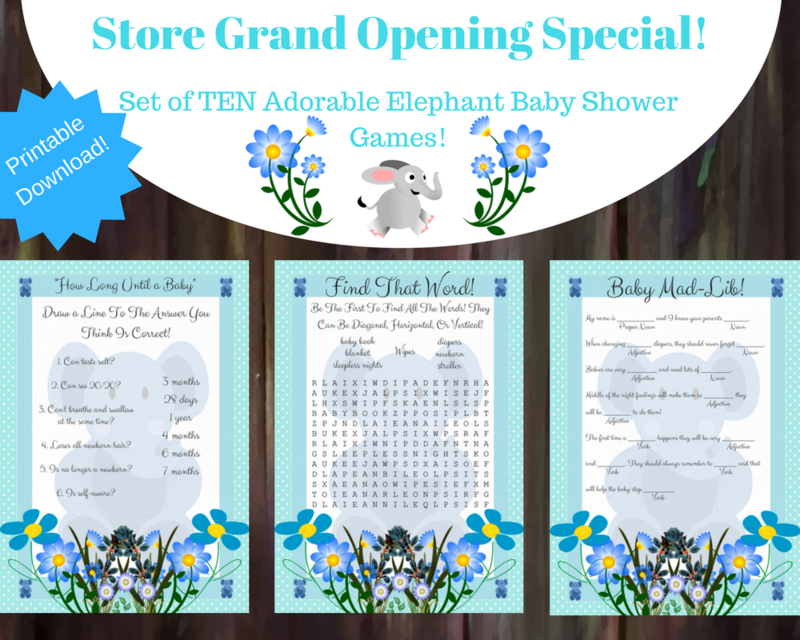 Well, we have designed an absolutely adorable set of 10 printable baby shower games all themed around a super cute Blue Elephant! 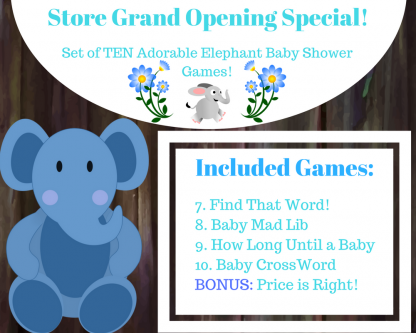 We are also including one additional Bonus game “Price is Right!” for a total of 11 games! Please read the description lower on this page for details before purchase. **This is a printable/digital download. 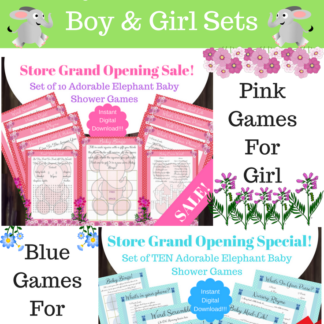 Nothing is being shipped. 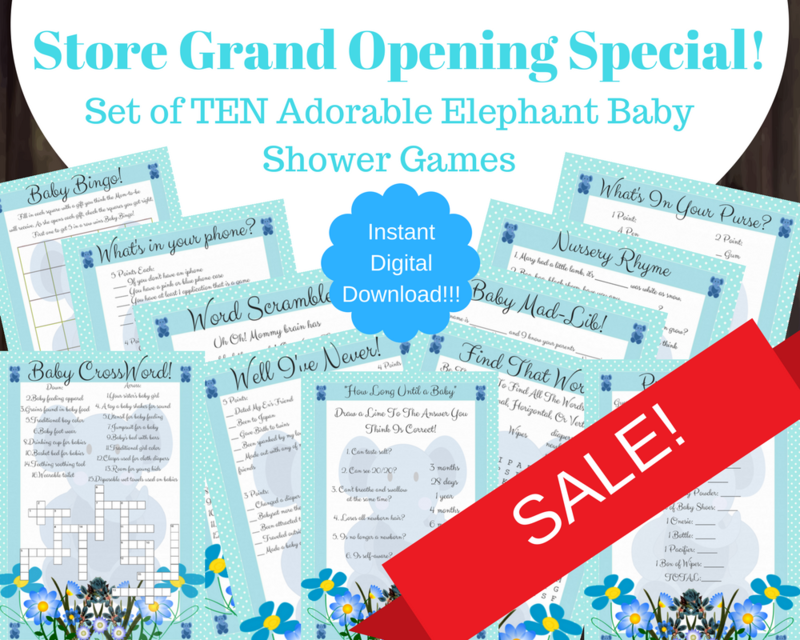 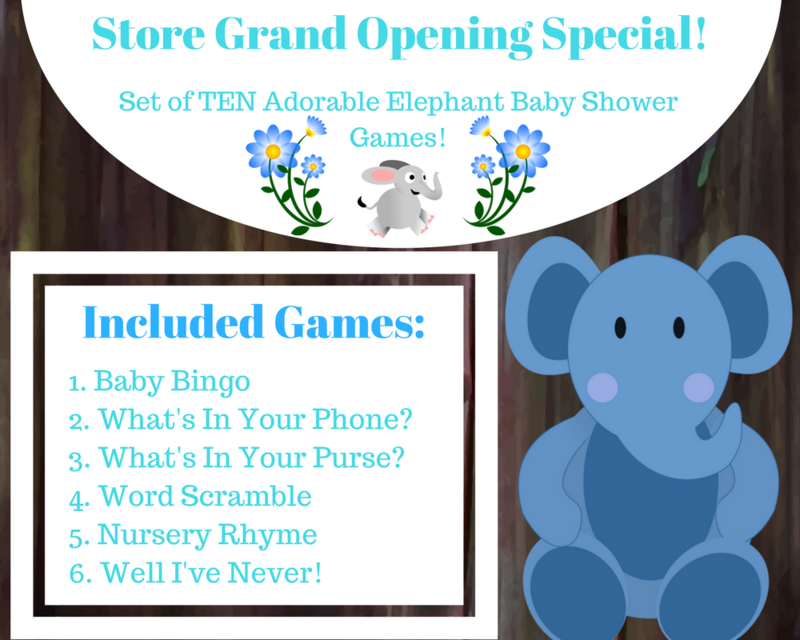 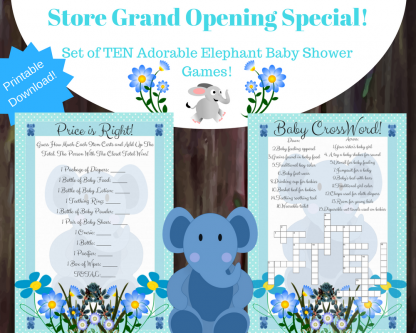 This Set of 10 Adorable Blue Elephant Baby Shower Games For a Boy! Are you planning a blue elephant themed baby shower for a boy? 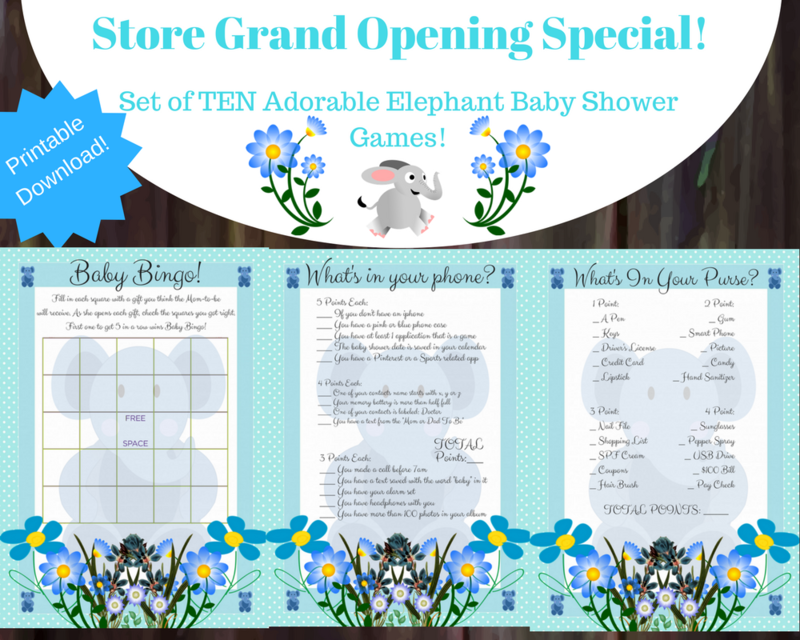 Well, we have designed an absolutely adorable set of 10 baby shower games all themed around a super cute blue elephant! 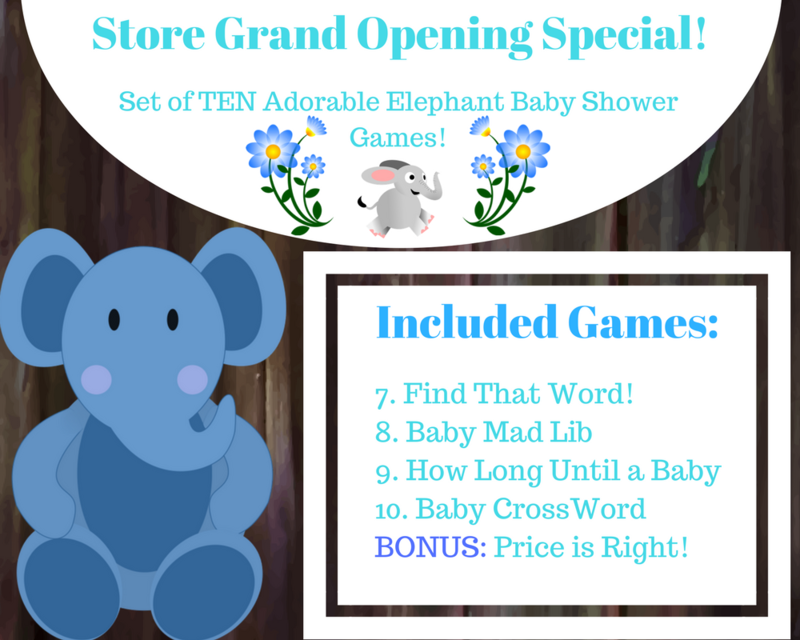 We are also including one additional Bonus game “Price is Right!” for a total of 11 games! 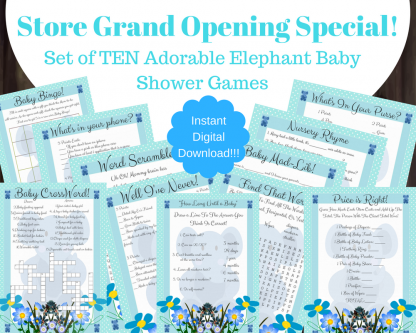 This Blue Elephant Baby Shower Game set, consisting of 10 games + a bonus game (listed above), comes in a standard A4 print paper size which is 21cm x 29.7cm. 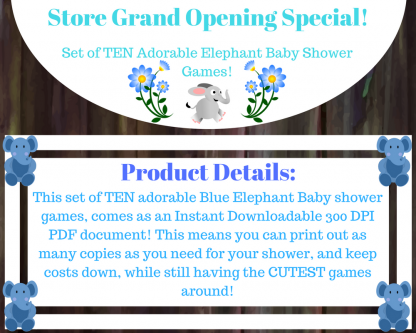 It is a high-resolution (300 DPI) Instant Digital Download product, which will come as a non-editable PDF file. You’ll need the latest version of Adobe Reader in order to download the file which you can get for free at www.adobe.com. 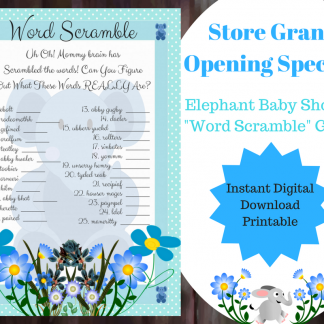 No JPG, PNG or personalized file formats are available with this product. This product comes as is.